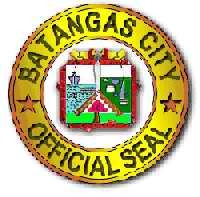 Below is a listing of private secondary schools in the City of Batangas. The list is from a document dated May 2011 made public by the Department of Education of the Republic of the Philippines. 2 Learners' Haven Tutorial & Lrng Center Brgy. 2, Lopez Jaena St.
6 Sycamore Minding Center Evangelista St.
12 St. Therese of the Child Jesus School M. H. del Pilar St.
14 The Holy Child School Brgy. 3, Rizal Ave.
15 UCCP HOPE Christian School of Batangas, Inc. Brgy. 9, C. Tirona St.
3 University of Batangas M.H. del Pilar St.